John “Joe” Barnett, age 83, of Ripon, WI, passed away on Friday, September 14, 2018, at Maplecrest Manor with his family by his side. Joe was born September 29, 1934, in Waukau, WI, the son of Harold and Faye (Steele) Barnett. He graduated from Berlin High School and went on to serve our country in the United States Air Force where he was stationed at Mather Air Force Base in Sacramento, CA. In 1965, Joe married Judith Runkel in Waukegan, IL. He worked at Winnebago Mental Health Insitute as an aide before he started work as an assembler at Mercury Marine for 34 years. After his retirement from Mercury Marine, Joe worked for Pastimes Pub & Grille in Ripon for 10 years. Joe was an avid sportsman enjoying hunting, fishing, boating and playing golf. He was a great story teller and enjoyed socializing with anyone. Most of all he loved his grandchildren and never missed any of their events. Survivors include his wife, Judith Barnett of Ripon, WI; son, Curtis (Kristine) Barnett and their son, Ross all of Ripon, WI; his daughter, Cheryl (Robert) Lenz of Greenwood, WI and their children, Scott (Kali) Lenz of New Lisbon, WI, Bryan (Alex) Lenz and their son, Vander of St. Louis, MO and Jamie (John) Peterlik of Edgar, WI and their son, Holden Peterlik of Edgar, WI and sister, Marietta Butler of Davisburg, MI. Joe is further survived by nieces, nephews and his beloved dog, Reggie. 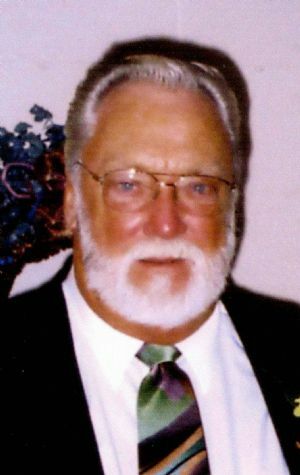 He is preceded in death by his parents, Harold and Faye Barnett; grandparents, Ethel and Eugene Steele; son, Clayton Barnett and brother-in-law, Jim Butler. Visitation for Joe will be held on Friday, September 21, 2018, from 9 – 11:00 am at Butzin-Marchant Funeral Home, 515 Mayparty Dr., Ripon, WI 54971. Marchant Funeral Home in Ripon with Reverend Kevin Spaeth officiating. Inurnment will follow at Eureka Cemetery in the Town of Rushford, WI with a Final Salute with Military Funeral Honors. A Celebration of Life will follow. A memorial is being established in his name. The family would like to thank the staff at Maplecrest Manor and Hometown Hospice for their loving care and support they have given Joe.